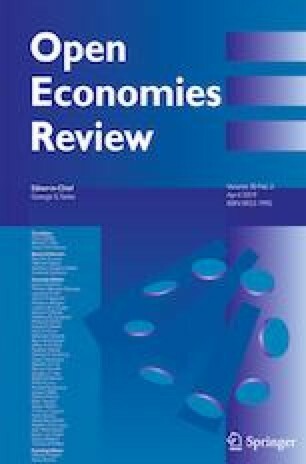 This paper studies the interaction between the housing sector and the macroeconomic environment in Korea. Besides serving as a typical small open economy, Korea provides an interesting laboratory case, since the country was subject to various housing-cycle phases over the sample, and its policymakers implemented active policies to stabilize the housing market. We present a microfounded open-economy model extended to incorporate a housing sector. The model is estimated using Bayesian methods and a large set of observables. We highlight the role of assumptions about house-price expectations on economic dynamics. In the benchmark case of rational expectations, the spillovers from housing to macro variables are modest. House prices are largely driven by sector-specific demand and supply shocks. Business cycle fluctuations are mostly driven by open-economy shocks. When the assumption of rational expectations is relaxed in favor of extrapolative expectations, however, the impact of the housing sector increases. Macroeconomic spillovers from the housing market become more important, with housing shocks accounting for up to twenty percent of fluctuations in the broader economy. We would like to thank seminar participants at the Bank of Korea for comments. Professor Milani acknowledges and is grateful for the financial support provided by the Bank of Korea regarding this research project. Real Non-Residential Investment (detrending: Business Investment) (Bandpass filter, Christiano-Fitzgerald). The series is computed from Gross Fixed Capital Formation, subtracting residential investment. CPI Inflation (log difference, no trend). We use the series for core CPI inflation, excluding agriculture and energy. Nominal Exchange Rate. We use the inverse of the nominal effective exchange rate published by the BIS (an increase denotes a depreciation according to the definition in the model). We take the logarithm of the series and consider in deviation from the sample mean. We allow for a break in the sample mean in 1998. Nominal Interest Rate. The annual rate is transformed into quarterly rate. The interest rate is considered in deviation from the sample mean. Again we allow for a break in the mean before and after 1998. Real Household Credit (detrending: Bandpass filter, Christiano-Fitzgerald). The original household credit series is seasonally adjusted and deflated using the GDP Implicit Price Deflator. Terms of Trade (Net barter definition, we detrend using a linear trend). Foreign Output (weighted average of Christiano-Fitzgerald detrended GDPs for the top 10 trading partners: USA, Japan, China, Germany, France, Netherlands, Switzerland, U.K., Singapore, and Hong Kong). The time-varying weights are computed as the sum of exports plus imports with the specific partner, as a fraction of their total sum. The series are at quarterly frequency and spanning the sample between 1991:I and 2014:IV. The series have been obtained from the Bank of Korea. We present here the full list of log-linearized model equations. The subscript j = s, b indicates savers or borrowers. Subscripts c and h for labor variables refer to labor in the consumption or housing sector, respectively.